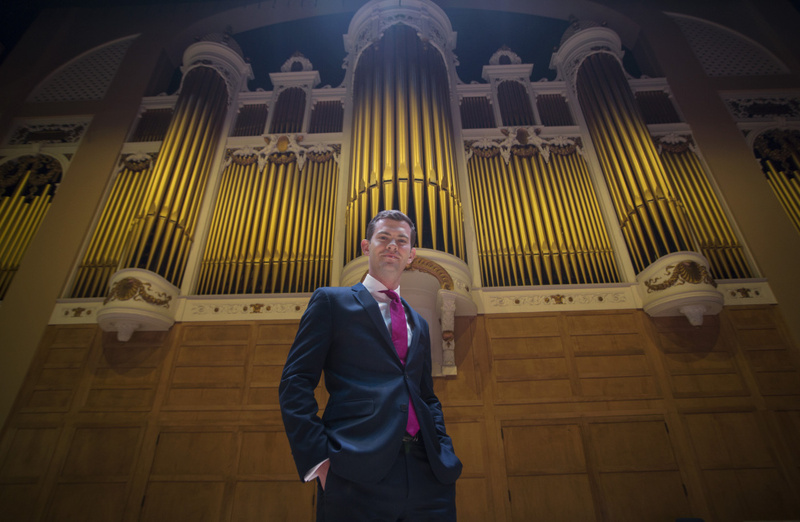 James Kennerley, 33, who dreamed about playing on the city's organ while growing up in England, was named to the position by the City Council on Monday. James Kennerley grew up in Essex, England, dreaming about performing on Portland’s Kotzschmar Organ. 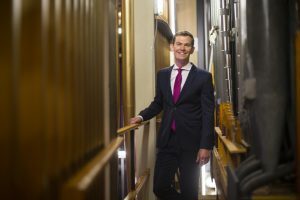 Kennerley’s dream came true Monday night, when the City Council voted unanimously to name him as Portland’s next municipal organist. He will replace Ray Cornils, who has held the post since 1990 and is retiring at the end of the year. Kennerley likened playing the organ to driving a luxury car. “It’s slightly intimidating, but you know you’re driving greatness,” he said. 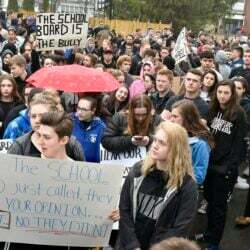 “It’s one of those positions we dream about as teenagers,” said James Kennerley. Kennerley is the city’s 11th municipal organist in the instrument’s 105-year history. Cornils has held the post 27 years. The Kotzschmar, which has more than 7,100 pipes, was built in to City Hall when the building was constructed in 1912. The organ was rebuilt in 2014 as part of a $2.6 million restoration. San Diego is the only other city in the United States that has a municipal organist. The part-time position pays $25,000 a year and is paid for by the Friends of the Kotzschmar Organ, a nonprofit organization that is responsible for the organ and its upkeep, as well as its programming. The appointment requires City Council approval. Kennerley, 33, lives in New York, where he works as organist and choirmaster at Saint Ignatius of Antioch Episcopal Church. He held a similar position at the Church of Saint Mary the Virgin, Times Square. At least early on in his tenure, he plans to stay in New York, where he has lived a dozen years, and commute to Portland for organ business. When in town, he will stay at the home of a Kotzschmar board member. “I will be spending a lot of time at JFK, Terminal 5,” he said. He studied organ at Cambridge University and was appointed organ scholar of Saint Paul’s Cathedral, London, where he performed for the queen several times. He’s performed on it only for a few hours, during and prior to his audition. He’s eager to take the time at the console to learn the organ’s range and nuances. “Everything is there,” he said of the organ and its orchestral range. “It’s like an artist having every single color available on a palette.” His job will be to blend those colors to create something better. The Kotzschmar is unique in the organ world, because nearly all of the world’s most famous organs are in churches, and the organ is commonly associated with religion. An organ in a secular space is unusual and presents an opportunity to experiment with programming to attract more diverse audiences, Kennerley said. Among his first tasks will be planning a concert season for 2018 that satisfies longtime fans of the organ and intrigues others who know little about it or its history. “There is so much going on in people’s lives – and not just music stuff, but everything stuff – that it’s very hard to entice people out of their homes to come to a concert, let alone an organ concert. Sometimes, we have to reinvent our image and reinvent the idea of what it means to come to a concert,” he said.